Photo: ROLLS-ROYCE DAWN. Image provided by & copyright © Rolls-Royce Motor Cars. 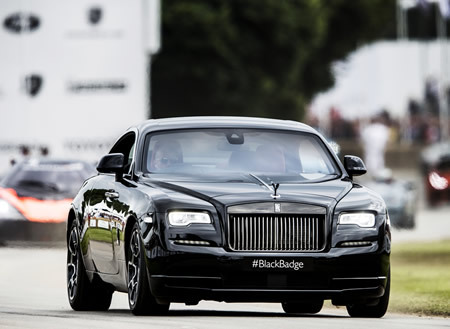 Photo: Rolls-Royce celebrates 2016 Goodwood Festival of Speed. June 27, 2016. Image provided by & copyright © Rolls-Royce Motor Cars. 23 June 2016, Goodwood, England — Rolls-Royce Motor Cars celebrates the largest gathering of Rolls-Royces in the world this weekend at the 57th Rolls-Royce Enthusiasts’ Club Annual Concours and Rally. 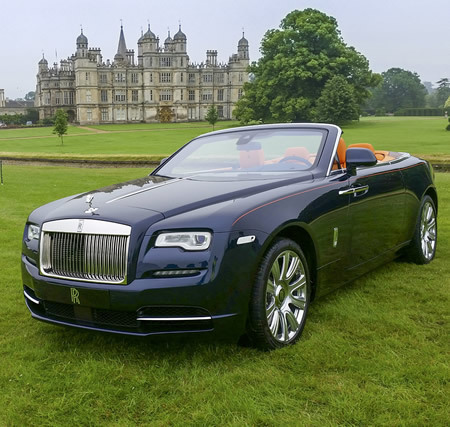 The spectacular setting of Burghley House in Stamford, Lincolnshire provides the perfect backdrop for a record number of motor cars, with over 1000 heritage and contemporary Rolls-Royces attending the event. Rolls-Royce Motor Cars is honouring the occasion with a display of six Bespoke models, hand-built by craftsmen and women at the Home of Rolls-Royce at Goodwood. Examples of Phantom, Ghost, Wraith and Dawn will be on display. The motor cars, hosted by a team of experts from the manufacturing plant, are expected to draw large crowds throughout the three-day event.